The Murikandy Pillayar temple conveys its importance from its name. Confused? In Tamil, Muri means break, Kandy is the Kandy city in Sri Lanka and Pillayar translates to the God who removes obstacles. 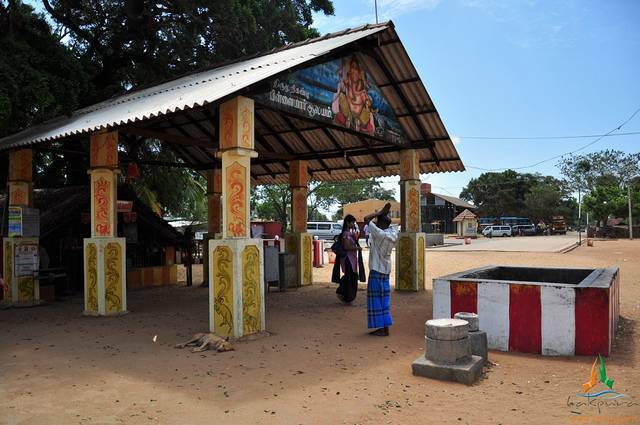 Thus, this temple is a must stop for travellers travelling on the Jaffna-Kandy highway to invoke God’s blessings. People believe that a visit to this temple would remove all their obstacles during the travel. This is yet another symbol of the Hindu- Buddhist harmony in Sri Lanka, since this temple is visited by the pilgrims from both the religions. It is very easy to spot this temple and at any time you will find crowd of people here due to its location and popularity. It is basically dedicated to Lord Ganesha, and people offer coconuts here as a way of asking for blessing. This unique temple is a must visit for people travelling on the A9 highway!